FRAMED PRINT. 22x18 inch (56x46cm) Framed Print with Black Satin with Off-White Digital Mat. 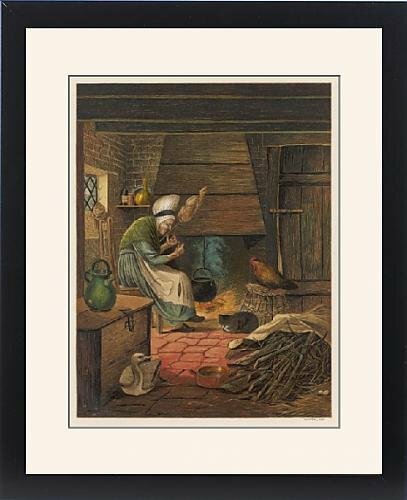 Artwork depicting OLD COTTAGE WOMAN. The old cottage woman, with her distaff and her animal companions often such solitary females were suspected of witchcraft. Shipping from USA. Artwork Description... The old cottage woman, with her distaff and her animal companions often such solitary females were suspected of witchcraft.